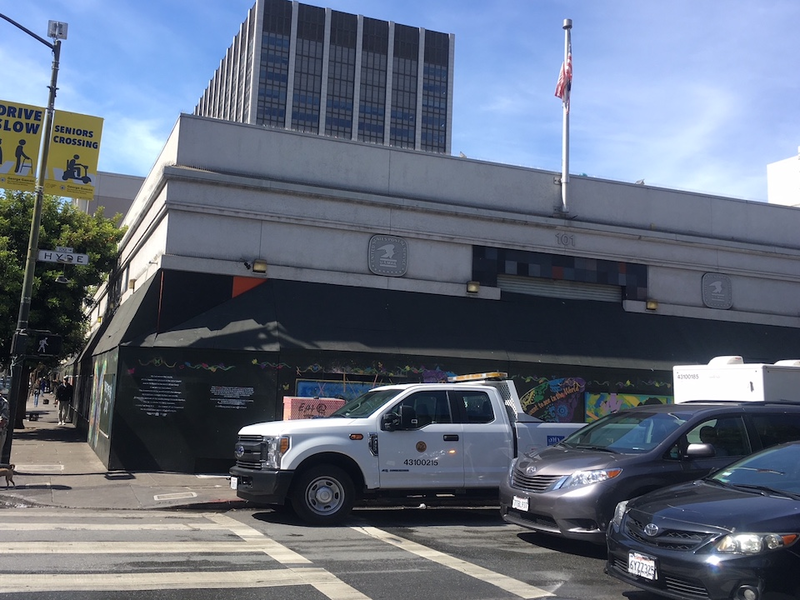 Plans for a female-led food hall that will stand for approximately five years in the Tenderloin took a step forward this week, as the city announced a lease and some financial support. The food hall will occupy the old US Post Office building at 101 Hyde St., which is eventually destined to become an affordable housing development under the aegis of the Mayor's Office of Housing and Community Development. Construction on the housing project is slated to start in 2025, but in the meantime, the long-vacant post office space will be leased to La Cocina, a non-profit that works to support woman- and minority-owned food businesses and lower their barriers to entry into the restaurant industry. The La Cocina Municipal Marketplace will serve double duty as a below-market-rate retail and commercial kitchen space for woman-owned businesses looking for a start in the city, as well as an affordable food option for Tenderloin residents on tight budgets. "This first-of-its-kind initiative will foster entrepreneurial opportunities for immigrants and women of color, provide affordable food options for Tenderloin residents, and help activate an important neighborhood space," Mayor London Breed stated in a press release. The new space should be similar to The Hall, another food hall and vacant storefront activation project on Market Street that shuttered in October 2017 after more than two years of operation. Construction on a housing development at its former site is now underway. Starting next month, the 7,000-square-foot post office space will be converted into separate retail spaces for La Cocina tenants, along with a communal 1,000-square-foot commissary kitchen with a walk-in refrigerator and dishwashing area. "We don't actually have major structural work," said Linda Esposito, the marketplace's director. "We are preserving the building's shell, and gutting it to build out the commissary kitchen, kiosks and public dining area." According to the Mayor's Office of Economic and Workforce Development (OEWD), the current timeline to convert the vacant post office into the new marketplace is about 21 weeks. If the project stays on schedule, the La Cocina Municipal Marketplace should open by late spring or early summer of 2019. La Cocina plans to issue a request for applications for tenants next week, and already has a vision on how the marketplace will be curated, Esposito said. "We are looking for businesses that not only offer affordable, healthy food, but also those that demonstrate a commitment towards community building." To be eligible, a business must have already gone through La Cocina's incubator program, and be ready to embark as a standalone business. 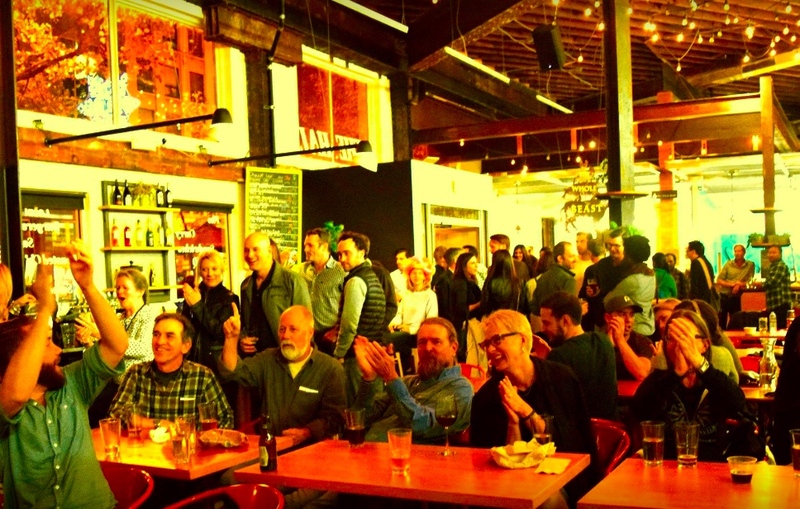 The ideal business would also "have a connection to the Tenderloin, or at least resonate with the cultural fabric of the community," Esposito said. Currently, the marketplace only has a one-year lease, but the city is working to offer it a multi-year, below-market-rate lease through 2025, when construction on the housing development is anticipated to begin, OEWD spokesperson Gloria Chan told us. The new lease process is expected to take 4-6 weeks once initiated, and will require approval by the Board of Supervisors. The affordable housing project that will ultimately be constructed on the site in 2025 has been approved as an eight-story, 85-unit project with approximately 5,000 square feet of ground-floor commercial space, Chan said. 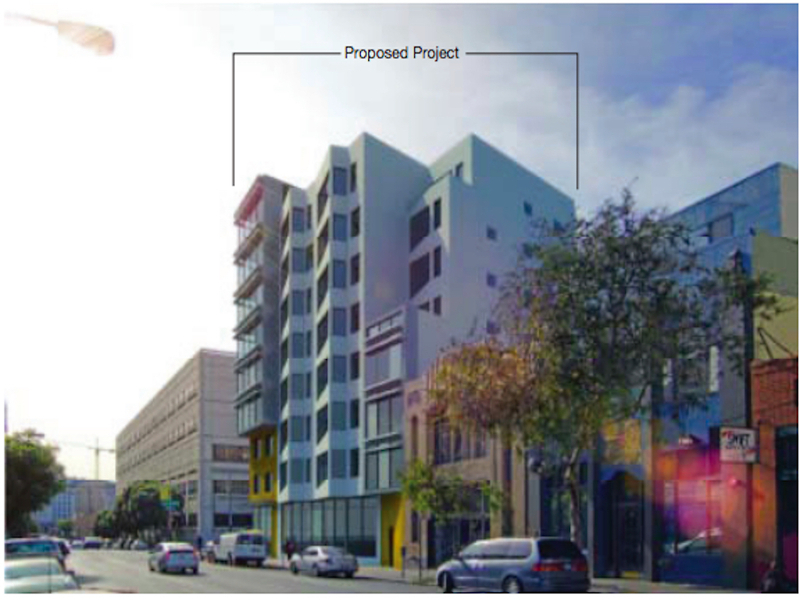 The project plans call for a mix of studios, one-, two-, and three-bedroom units. But in the meantime, the city is putting $1.5 million towards La Cocina's efforts. The nonprofit has also received pro-bono architectural services from Perkins+Will, design services from LMNOP and Office, support from BCCI Construction, and support from individual corporate and foundation donors. However, La Cocina is still working to raise anoth$5 million needed to support the marketplace's construction and initial operation. Esposito says it's raised about 64 percent of that total, and is still seeking additional funders to meet its goal. "As it stands today, we have raised two-thirds of the amount, and are confident to raise the remaining amount to close the gap," Esposito said. "We are thrilled to work with La Cocina to get this project off the ground," Chan added. "Immigrants and women of color will be able to share their foods and skills with the larger community at affordable prices."